UPDATED: Lexis’ new tool is innovative, but for whom? This week's Daily Record column is entitled "Lexis’ new tool is innovative, but for whom??" UPDATE: A LexisNexis representative has advised me that there was some confusion regarding the information I originally received regarding pricing and that MedMal Navigator is indeed available as a stand-alone product. In that case, as I discuss below, offering it as a stand-alone product certainly makes it a more appealing offering for medical malpractice attorneys. In last week’s column I promised to review an interesting new offering from Lexis, the Lexis Advance MedMal Navigator (www.lexisnexis.com/en-us/products/lexis-advance-medmal-navigator.page). You may recall that I learned about this new software product earlier this month when I attended the Lexis Influencers’ Summit in New York City, compliments of Lexis. Of all the new Lexis products discussed at the summit, I found this one to be the most intriguing. First, because it offers medical malpractice lawyers uniquely tailored access to Lexis’ vast amounts of content. And second, because of the built-in assisted legal research dashboard. This interactive tool walks lawyers through the process of analyzing the applicable standard of care, aids in assessing case values, and helps lawyers locate similar verdicts and settlements. When I saw a demo of it in action, I was very impressed. It’s chock full of relevant information, all of which is easily accessible in one convenient place. My first impression of it is that it has the potential to be a very valuable tool. But for whom? That was the question I repeatedly asked myself as I thought about this new product. Who’s going to be willing to pay for it? So that limits it to those willing to fork over cash to use Lexis’ legal research platform. And, as I discussed last week, for newer solo and small firm lawyers practicing law in a depressed economy, free and lower cost legal research options, such as Google Scholar and Fastcase, are becoming increasingly appealing these days. So for many of these lawyers, Lexis Advance is out of the question and thus, under the current pricing scheme, so too is the MedMal Navigator. But they’re not the only possible customers. What of the already existing boutique medical malpractice plaintiffs firms? One of my parents' friends is just such a lawyer — he’s had a very successful personal injury practice for decades now and is known as “go to” guy in town for medical malpractice cases. I imagined asking him if MedMal Navigator would interest him and could already foresee his response: “Why would I need expensive software like this? I’ve been doing this forever. I know the legal issues like the back of my hand and I’ve already got a Rolodex full of experts.” So, count him — and most well-established firms like his — out. That leaves mid-sized and large firms. As we all know, most large firms view their litigation departments as low rung, necessary evils — especially when it comes to consumer, as opposed to commercial, litigation matters. But even so, these firms have the money to spend — for now — and might be willing to pay for this tool, assuming the firm even permits its attorneys to handle such lowly matters as medical malpractice cases. Which leaves us with the mid-sized firms — many of which are struggling to stay afloat these days, between the economy and the rapidly changing legal marketplace — a marketplace ripe with competition from boutique firms, solos and do-it-yourself sites such as Rocket Lawyer and LegalZoom. So while it’s possible that those mid-sized firms already using Lexis for legal research might consider paying a bit more to add the MedMal Navigator to their arsenal, that will only happen if their senior litigators aren’t old school like my parents' friend. Otherwise, they likely won’t think it’s worth it. So, I’m not entirely clear on who will actually pay to use the MedMal Navigator. Needless to say, it will be interesting to see how the chips fall. Will there be a market for this innovative and undoubtedly useful product as it stands? Will Lexis consider selling it as a stand-alone product at a price point that might be more appealing to mid-sized and smaller boutique firms? Or will it just die out as a failed attempt at innovation? This week's Daily Record column is entitled "Can LexisNexis pivot with changing technology?" I’m writing this article as I sit in LaGuardia airport, waiting for my flight back to Rochester after spending a few days in New York City compliments of LexisNexis. While here, I attended the LexisNexis Influencer’s Summit, a conference sponsored by LexisNexis that was attended by legal journalists and bloggers. The morning sessions focused on the company’s analysis of the legal market and an overview of its big picture strategy, while the afternoon sessions featured the latest updates to existing products and descriptions and demos of the company’s newest software products. I really enjoyed this conference, primarily because it was a synergistic meeting of very interesting, smart people with a common interest in legal technology. There were the knowledgeable and enthusiastic LexisNexis folks, e-discovery experts, legal technology journalists, law librarians, knowledge management specialists and more. One of the best parts of the conference was that it facilitated a wonderful exchange of knowledge and ideas.The discussions that occurred between attendees and presenters throughout the day offered many valuable insights and perspectives about the future of the legal profession and how technology will be used in the practice of law. Of particular interest to me as I listened to the various LexisNexis presentations was how this huge corporate entity that has long been a mainstay in the lives of of lawyers planned to compete and maintain its foothold in the face of unprecedented change in the legal marketplace — change driven largely by a vast array of new technologies which offer legal consumers more options, combined with a depressed global economy. My overall impression was that, for the most part, the folks at LexisNexis had a very good grasp on the effects of technology and how to best position their company in the next decade to take advantage of its core products while innovating to create new ones. For example, one of the most intuitive things the company is doing is maximizing and increasing the utility of one of its greatest strengths — its impressive collection of content, ranging from information databases and case law to substantive analysis and news-related data. So, in order to maximize its investment in content, LexisNexis has recently acquired companies such as Law365, which are focused on providing very specific types of content to users. In other words, LexisNexis understands that content is king. To that end, the company is wisely organizing many of its newest software releases around the idea of making relevant information from its content databases readily accessible and available to legal practitioners through software using predictive coding and analysis. In a future article, I’ll discuss in depth one of its more impressive new offerings of this type — software that provides a one-stop shop for everything that a specific type of litigator could need. However, even though this company is innovating, I did see vestiges of the “this is how we’ve always done it” school of thought, most notably when it came to their flagship legal research products — an area where there is a decided amount of competition from low-cost or free alternatives such as Fastcase or Google Scholar and thus in this arena, innovation and flexibility is a must for LexisNexis to compete. Specifically, when we were shown a demo of Lexis Advance, their newest, completely revamped legal research platform, it was explained that users could purchase a limited 90-day right to access a case or cases outside of their plan for “only” $18-25 a pop, depending on the case. Once the 90 days expired, the user could save a pdf of the case, but would lose access to the updated Shepard’s information related to the case. This was somewhat perplexing to me since the purported rationale for charging for the case when it was most likely available for free elsewhere online was so that the user could access the proprietary Shepard’s data. This nickel and dime ‘em to death strategy is a remnant of the days when Lexis and Westlaw had virtual monopolies in the legal research sphere. It makes no sense nowadays given the low cost research alternatives now available and the fact that lawyers — especially solos and small firms — are struggling to stay afloat in this ailing economy. This tack is likely to simply engender resentment from loyal LexisNexis users who have committed to spending a significant amount of their allotted overhead on the company’s legal research product. So, rather than eking out every last dollar from these already cash-strapped solo and small firm lawyers, why not acknowledge the reality of the 21st century — that they have other choices? Instead of interrupting their research flow by forcing them to go elsewhere online to search for a free version of a case or making them resort to begging in an online forum for someone who has access to the case to send them a copy (something that happens often), I would suggest allowing users unrestricted access to a small number of cases outside of their plan each month. Reward them for their loyalty; don’t alienate them with outdated money-making tactics. That criticism aside, overall I was quite impressed with the direction LexisNexis is headed, especially when it comes to their innovative software products that draw upon their well-rounded content — making it easily accessible and useful to targeted legal practitioners, as I’ll discuss in a future article. 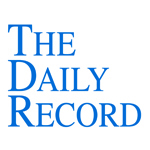 This week's Daily Record column is entitled "Another NY court on discovery of social media evidence." This week's Daily Record column is entitled "When judges, jurors and the Internet collide." This week's Daily Record column is entitled "2012: The year of the mobile lawyer?" Like it or not, we are now living in a mobile world, made possible in large part due to rapid advances in mobile and cloud technologies. The effect of these tools on the legal profession is becoming increasingly apparent, especially as these technologies improve and the prices drop, making mobile devices more accessible and more affordable than ever before. Proof that the legal profession is embracing mobile tools can be found in the results of the American Bar Association’s 2012 Legal Tech Survey. According to the survey, laptop use increased significantly, with 38 percent of lawyers reporting that they switched from desktops to laptops as their primary computer of choice. And, a whopping 89 percent of lawyers reported using smart phones in 2012. Finally, over the past year, the number of lawyers using tablets more than doubled. When it comes to smartphones, BlackBerry, once the preferred mobile device for lawyers, fell out of favor dropping from 46 percent of smart phone users in 2011 to just 31 percent this year. Meanwhile, the number of lawyers using iPhones went up in 2012, with that number increasing from 31 percent in 2011 to 44 percent in 2012. The number of lawyers using Android phones was the smallest, with Android use increasing only 1 percentage point in 2012, from 15 to 16 percent. Tablet use was also on the rise in 2012. The iPad was released in the United States less than three years ago in April 2010. Since that time, lawyers have quickly acclimated to tablet use and the number of lawyers using tablets has risen dramatically every year. For example, according to the ABA’s survey, in 2011, 15 percent of lawyers reported using tablets for law-related tasks, but in 2012, that number increased to 33 percent. Not surprisingly, as lawyers’ use of mobile tools increased, so too did lawyers’ use of mobile apps. One of the most popular types of apps used by lawyers are PDF annotations tools, which facilitate the storage and organization of PDFs and also allow the user to fill out PDF forms and annotate PDF documents by striking text, adding text, highlighting text and more. Some of the most-used PDF annotation apps for iPads include PDF Expert (my preferred app), Good Reader and iAnnotate. And, of course, with the rise in the number of lawyers using mobile devices, the number of apps developed specifically for lawyers has increased rapidly, with new ones being rolled out all the time. These apps aid lawyers at every stage of the litigation process, including legal research, depositions, jury selection and trial presentation. The list of iPad apps for lawyer includes, but is not limited to: TranscriptPad, TrialPad, JuryStar, ExhibitView, Jury Duty, Mobile Transcript, The Deponent App, Exhibit A, iJuror, iPleading, iJury, iTestimony, MobiLit, JuryPad, TouchTax, FastCase and LawStack. So, it seems that lawyers and mobile commuting were made for each other. 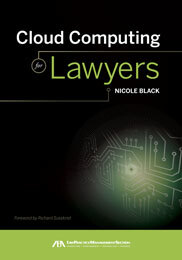 Although traditionally the legal profession has sometimes been hesitant to embrace new technologies, mobile computing appears to be an exception to this pattern. Lawyers understand that mobile technologies make their jobs easier and provide a level of convenience and flexibility never before seen, while simultaneously offering innovative and affordable ways to better serve their clients. And, at the end of the day, isn’t that what lawyering is all about?